Happy New Year loves! I hope you had an amazing night and that your 2017 is off to a wonderful start! 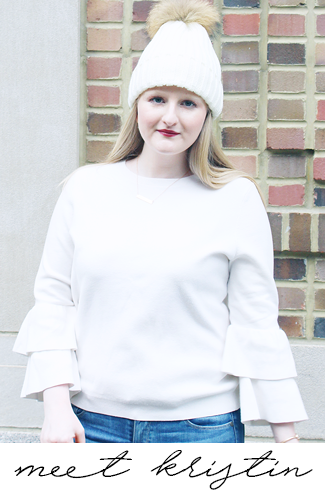 To kick off the New Year I have an awesome announcement for all of you, my blogger bestie Jordyn, of The Fairy Princess Diaries, and I are co-hosting an Instagram challenge for the month of January! Jordyn and I are both huge fans of Instagram and love a good photo challenge so it only makes sense to host our own. We are doing this challenge to provide Instagram inspiration for ourselves and others and as a way to support each other. With this challenge we are hoping to help you kick off 2017 social media on the right foot and to make posting on Instagram a little easier. This challenge will be a lot more fun if it's not just Jordyn and I posting pictures so we would love to invite you to join along with us. To join us you just need to follow the prompts when posting a picture everyday in January along with the hashtag #JadoreJanuary. Below are the prompts for each day and we're really excited to hopefully see everyone's unique take on each idea. We will be checking out the hashtag #JadoreJanuary every day (ok more like multiple times a day) on Instagram to see all the new posts! We are kicking of the challenge today with a New Year's post. Every week Jordyn and I will be sharing (and giving a shoutout to) our favorite posts from the week! 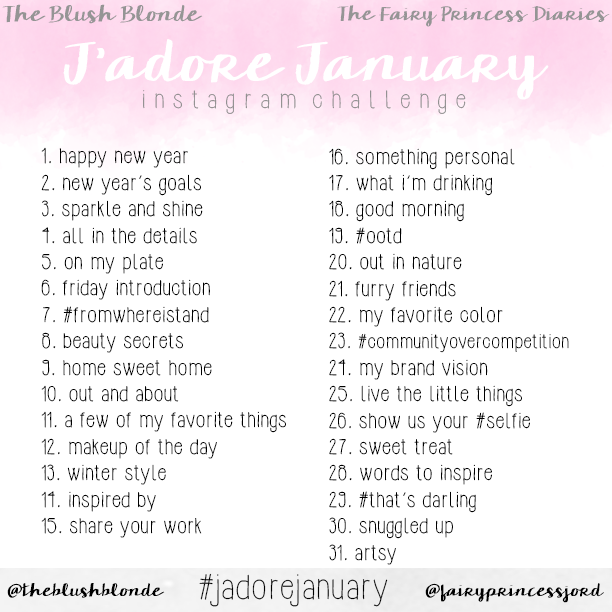 Make sure to follow Jordyn (@fairyprincessjord) and me (@theblushblonde) and to tag your pictures #JadoreJanuary so we can see them. We will both be following back and checking out all of your posts! Feel free the share the above image on your Instagram account or you can just refer back to it here or on either of our accounts (@fairyprincessjord and @theblushblonde). We really hope you all will be joining us for #JadoreJanuary and couldn't be more excited to see what you post! I will have a reminder up on here and on Instagram during the challenge and even if you don't join us I hope you enjoy the pictures we put up throughout the month!